C.H. Ellis realizes that time is money. And when it comes to time, inventory control and damage can break the bank. 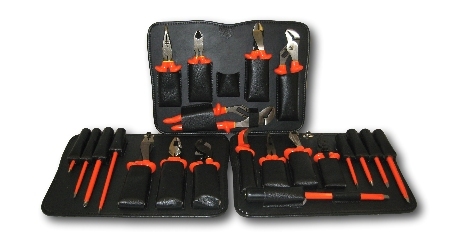 That is why we have created one of the best tool control programs featuring bags, pouches, cases and foam. We utilize a variety of colors for our tool control foam. The goal is to recognize – quickly – that a tool is missing. A missing tool can be more than an inventory issue. Left in the wrong place, such as in a machine or engine, severe damage is possible. 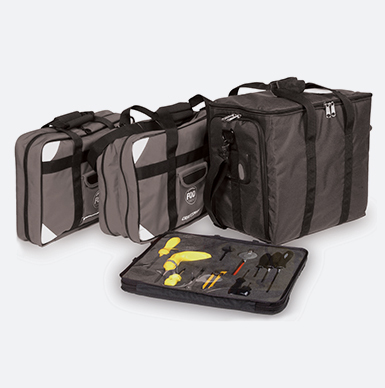 While we do stock a wide variety of tool control bags, all tool control foam is made to order. Our stock tool control bags are designed with ballistic nylon and high reflective tape for high visibility and long life. 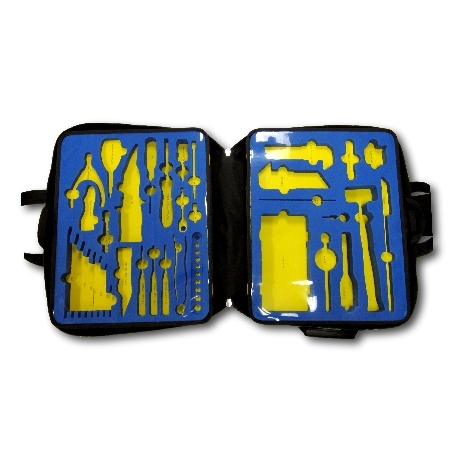 Our tool control pouches feature ballistic nylon on the sides and bottom with clear vinyl on top. The pouches hold the foam while making inventory quick and easy. If a stock tool control bag won’t work for you, let us design and make one to your specifications including size, color, material and foam.You know the importance of having the right tools to do the job. And having the right organization of your tools at the job site is equally important. You know the importance of having the right tools to do the job. And having the right organization of your tools at the job site is equally important. That is why CH Ellis is a world leader in the manufacture of tool pallets. Tool pallets must not only hold your tools for easy access, the tools must be held securely on site and during transit. A custom tool pallet layout begins with you sending us the tools you want included. We will layout the tools for your comment and critique. Once you have agreed to the layout, we will create a sample-prototype for final approval. 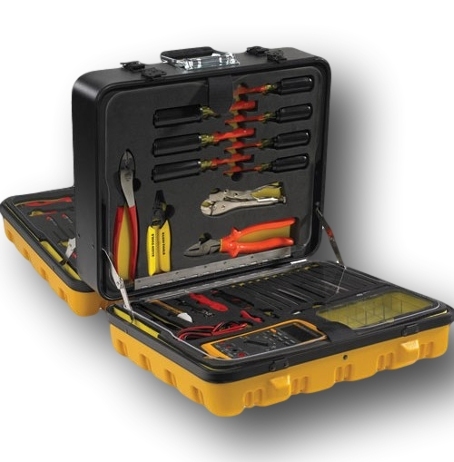 The end result is a unique design for your technicians to have the tools they need, where they need them. Our design team uses nylon, elastic and foam as design elements to create the perfect tool organizing pallet for you.